Asking for a divorce or being asked for a divorce can be extremely scary for many people. A lot of people have a fear of going to court during divorce and it can cause a lot of people anxiety and stress. Not every divorce case has to go to court. There is always the option of mediation. Mediation is a simple process that involves both divorcing parties meeting together to resolve any divorce issues, including division of assets, child support, custody, and other related issues. Each spouse will bring his/her own attorney to the sessions to protect their interests. 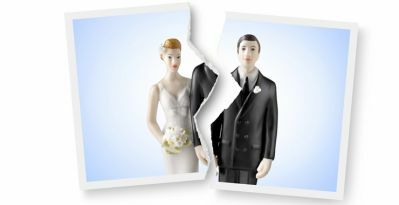 A mediation session is generally required before proceeding to divorce litigation. Mediation offers the opportunity for a better process and a better outcome for everyone. For most people, mediation is a better process compared with traditional divorce litigation. The mediation process is a more private matter. Strangers are not allowed to sit in on the sessions, and it helps protect the children from the hard reality of seeing their parents in a court setting. Mediation is often a much faster, smoother, and less stressful event. Divorce always has an element of stress, but with mediation these realities are greatly reduced in most cases. Mediation doesn’t work for every case, however, the process works for most people, and when it does, it offers significant advantages over the traditional courtroom divorce process. Contact Dreyer Law to schedule a free consultation. Together you and Doug Dreyer can decide if your case is better suited for mediation or a traditional courtroom process.